First sage of Greece, he founded classical geometry and natural philosophy. Alchemists have claimed him as one of their own. The theorem of Thales (one of two) is about two triangles with parallel sides: The pyramid's shadow is to the pyramid what a man's shadow is to the man [wow]. First Greek scholar to write about Nature. A student and/or friend of Thales, he succeeded him as head of his Milesian school. Anaximander founded astronomy and cosmology (cf. apeiron). He introduced into Greece the gnomon, the sundial and cartography. Pythagoras was one of his pupils. No man ever steps into the same river twice. Existence is timeless; change is impossible. 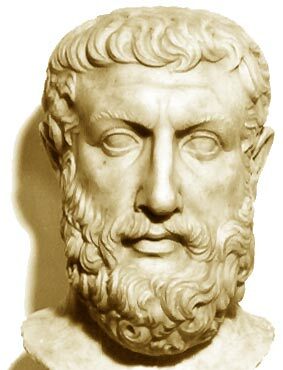 Parmenides upheld the extreme view of static monism. He spent some time as a member of the Pythagorean community at Croton. Zeno was his eromenos. At age 65, Parmenides went to Athens and met a youthful Socrates (469-399 BC). Inventor of rhetoric and borderline charlatan. His arbitrary explanation of reality with 4 elements (Earth, Air, Fire and Water) and 2 forces (Love and Strife) dominated Western thought for over two millenia. Several of his intuitions were correct, though, including the finiteness of the speed of light. In the most famous of his provocative paradoxes, Zeno asks how swift-footed Achilles could overcome a tortoise, since Achilles must first reach the initial position of the tortoise... By the time he gets there, the animal is elsewhere and Achilles is left with a similar challenge, ad infinitum. He put Pythagoreanism in writing (including numerology). He is credited with the first astronomical system where the Earth wasn't at the center of the Universe. After a second fire destroyed the Pythagorean campus at Croton (c. 454 BC) Philolaus fled to Lucania and Thebes. He taught Archytas. A sophist whom Plato despised (he portrays him as vain and arrogant, with a wide but shallow knowledge). Hippias devised the first transcendental curve, known as quadratrix or trisectrix because the quadrature of the circle and the trisection of an angle would be trivial if its use was allowed. The atomists' school in Abdera was founded by his teacher Leucippus, himself a student of Zeno and a proponent of the law of causality. Democritus argued that all was made of indivisible atoms moving in the void. One of his followers, the alchemist Bolus of Mendes, also signed "Democritus". Revolutionary founder of Western medicine. An asclepiad, said to be a direct descendant (17 or 19 generations) of the legendary Aesclepius, Hippocrates studied philosophy under Democritus and learned rudiments of medicine from his father, Heraclides, and from Herodicus of Selymbria. Mathematician and statesman. Student of Philolaus (an ardent follower of Pythagoras) and teacher of Eudoxus. Archytas considered surfaces generated by rotating curves and could double the cube by intersecting three of those (defining Archytas' curve in the process). On a land once owned by someone called Akademos, Plato created the first institution of higher learning, in 387 BC. His Academia lasted 915 years (Justinian closed it in 529). Initiation to Geometry was an entrance requirement. The aim was to teach or discover ideal laws behind appearances. His definition of the comparison between ratios of (possibly irrational) numbers appears in the fifth book of Euclid. It inspired Dedekind's definition of real numbers (1872). Eudoxus invented the method of exhaustion built upon by Archimedes. He was the first Greek scholar to map the stars. He shunned mathematics entirely in his natural philosophy which was lightly based on crude observations. The lack of discussion of his dogma for two millenia greatly hindered the development of natural Science, especially when some Aristotelian misconceptions became part of Church doctrine. Father of axiomatic geometry and author of the most enduring textbook in the history of mathematics: The Elements. His presentation of the mathematics of his times would become the centerpiece of mathematical teaching for more than 2000 years. Copernicus credited him for the idea that Earth rotates on its own axis and revolves around the Sun. From rough angular measurements, he estimated the distance to the Sun. As he couldn't detect the parallax of stars, he declared them to be extremely distant (which Archimedes wouldn't accept). Starting out as a barber, he became an engineer and founded the school of mathematics at the Library of Alexandria (he may have served as its first head librarian). He invented a suction pump, a compressed-air catapult, a water organ and the regulated water-clock (fed by an overflowing vessel). Also known as Philo Mechanicus, he was an engineer who journeyed to Rhodes and Alexandria. He is credited for inventing the escapement, the water mill and the gimbal suspension (described by Cardano). Philon constructed the Delian constant by intersecting a circle and an hyperbola. A native and resident of Syracuse, Archimedes studied in Alexandria and maintained relations with Alexandrian scholars. Although he became famous for designing war machines, this early physicist was, above all, an outstanding mathematician. The 14 Archimedean solids are uniform. Eratosthenes headed the Library of Alexandria after Apollonius of Rhodes. In number theory, he is remembered for the Sieve of Eratosthenes. He also came up with the first accurate measurement of the circumference of the Earth. Apollonius named and studied the conic sections. He found that a circle consists of all points M whose distances to two foci (I,J) are in a fixed ratio (e.g., 2/3). He said that planets revolve around the Sun and that the Earth itself might as well be thought of as moving, like planets do. Hipparch founded trigonometry (table of chords, spherical coordinates) and discovered the precession of the equinoxes (130 BC). The nova of 134 BC inspired him to compile a catalog of 1080 stars. His lunar and solar models were accurate enough to predict eclipses. The only extant work of Lucretius is the didactic poem De rerum natura (On the Nature of Things) where the basic Epicurean tenets are expressed in a surprisingly modern way. It's especially so about atomism, randomness and free-will. Rutherford's motto is a quote from Lucretius. Influenced by Ctesibius. Some of his works were meant to be lecture notes: Pneumatica (fluids & steam) Metrica (methods and formulas for areas and volumes, lost until 1896) Mechanica (statics & simple machines) Catoptrica (mirrors). Hero thought light-rays came from the eyes. Gaius Plinius Secundus was a public official who wrote a lot. The 37 books of Historia Naturalis (AD 77) present, in an anthropocentric way, everything the Romans knew about the natural world. In this, Pliny cites nearly 4000 authors (his "Ostanes" need not be the one who cited Miriam). 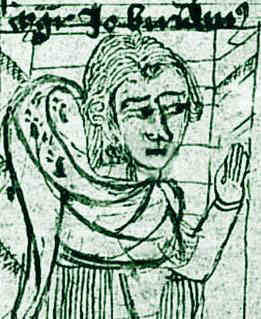 Earliest female experimentalist on record (signing Miriam the prophetess, sister of Moses). The tribikos still and the eponymous balneum Mariae may be due to her. F. Hoefer credits her for muriatic acid. 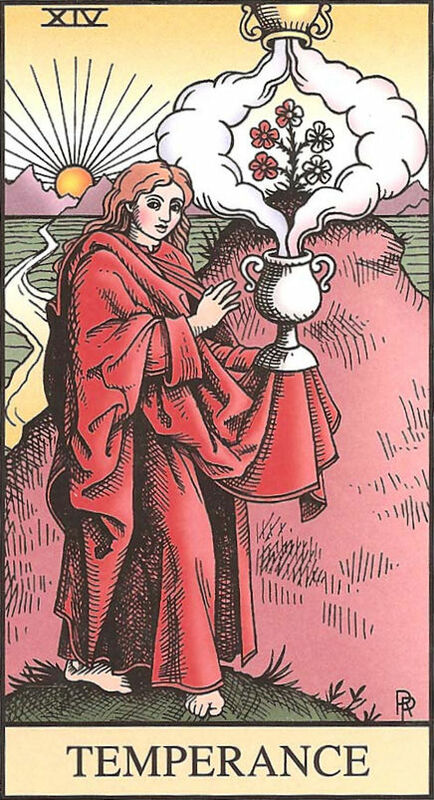 The oldest extant alchemical texts (by Zosimos of Panopolis) quote her as a past master. Pedanius Dioscorides was the Greek author of the first major pharmacopeia (which never went out of print and remained authoritative for over 1500 years). The 5 volumes of De Materia Medica (AD 70) present about 600 plants. A resident of Rome who spent his youth in Alexandria, he recognized geodesics on a curved surface as analog to straight lines on a plane. Shunning arcs of parallels, he defined spherical triangles as consisting of arcs of great circles. This was a turning point in spherical trigonometry. Claudius Ptolemaeus was a Roman citizen who wrote in Greek (his first name may have been Tiberius). His Almagest dominated astronomy for centuries. Ptolemy's theorem says that a tetragon is cyclic iff the product of its diagonals is the sum of the pairwise products of facing sides. A Roman citizen of Greek ethnicity, he started out as physician to the gladiators. He was so prolific (10 million words) that his surviving works (30%) represent nearly half of the extant literature from ancient Greece. His thinking dominated medicine for more than a thousand years. Leading commentator of Aristotle, he revived Aristotelian ideas. Appointed to an endowed chair in Athens during the co-reign of Septimius Severus and Caracalla (AD 198-209). He first described the dark band, named after him, between the brignt primary rainbow and the dim secondary rainbow. A Diophantine problem is to find an integer satisfying a polynomial equation with integer coefficients, or several such equations simultaneously. Diophantus himself never considered irrational numbers or nonpositive ones. His age at death was reportedly x = x/6 + x/12 + x/7 + 5 + x/2 + 4. Possibly the best mathematician of ancient China, he was a descendant of Liu Yi, Marquis of Zixiang, and lived in the state of Cao Wei (one of the feuding Three Kingdoms). He expanded the Jiuzhang Suanshu with his own commentaries and an appendix which became an official surveying manual. The theorem of Pappus (generalized by Pascal in 1639) is a fundamental theorem of projective geometry. The name is also used for the two centroid theorems published by Paul Guldin (1577-1643) in Centrobaryca (1635) pertaining to the surface area and the volume of a solid of revolution. Daughter of the mathematician Theon (c. 335-405) last librarian of Alexandria, who raised her like a boy. Her teaching of science was seen as pagan. She was ambushed and skinned alive by a mob of Christian fanatics. Hypatia's murder marks the beginning of the Dark Ages in the West. Brahmagupta (the "teacher from Bhillamal") was the first to treat 0 like any other number. Like Diophantus before him, he pioneered the use of symbols in equations. He failed to specify that his famous formula for the area of a quadrilateral is only valid for cyclic quadrilaterals. Abu Musa Jabir ibn Hayyan al Azdi was born in Tus (Persia) but the Arabs claim him as one of their own. Geber (or Jabir) made remarkable scientific advances in practical chemistry but also produced eponymous gibberish on occult alchemy. Al-jabr (transposition from one side of an equation to the other) is the technique which gave algebra its name. The term is from the title of the masterpiece published around 810 by Abu Abdallah Muhammed bin Musa al Khwarizmi. Key disciple of the three Banu Musa brothers, he's best known as Thabit or Thebit. All later editions of Euclid's Elements were based on his revision. He was a founder of statics. He was a Sabian, not a Muslim. Abu'l-Wafa was the first to build a wall quadrant to observe the stars. Whenever possible, he determined quantities by giving a ruler and compass construction for them. He was an expert in Al-Khwarizmi's "Indian reckoning", but still wrote out all numbers in arabic letters, for the sake of his audience. Abu Bekr ibn Muhammad ibn al-Husayn Al-Karaji was probably born in Karaj although his alternative name would imply a connection with Karkh, the west part of Baghdad, where he worked most of his life. He devised the notion of mathematical induction and used it on the binomial triangle. Abu Ali Muhammed ibn al-Hasn ibn al-Haytham al-Basri was hired by Al-Hakim and had to feign madness to avoid impossible duties, until the "Mad Caliph" died (1021). Early proponent of the scientific method, Alhazen pioneered optics and anticipated the first law of Newton (who quoted him). Celebrated polymath who was first exposed to mathematics by associating with Abu Nasr Mansur (970-1036) of sine law fame. Al-Biruni pioneered scientific methods in astronomy and geology. First mathematician to point out the limited validity of Brahmagupta's simplified formula. The word Khayyam means "tentmaker" (possibly, his father's trade). His Rubáiyát ("quatrains") were translated in 1859 by FitzGerald. Khayyam reformed the calendar of the Seljuq empire (1079). He solved cubic equations with conic sections, stating that ruler and compass didn't suffice. He conceived derivatives and stated Rolle's theorem. Educated at Oxford University, of which he became Chancellor in 1215 (until 1221). Grosseteste introduced the earliest teaching of the scientific method in Oxford (comparing theories with observations). After holding other ecclesiastical posts, he became Bishop of Lincoln in 1235. Nicknamed Doctor Mirabilis. He went to the University of Paris to take a degree (1241) and he started lecturing on Aristotle there (1234-1247) before returning to Oxford. Influenced by Grosseteste, Roger Bacon became the most active early proponent of the scientific method in Europe. He was born and raised on the Island of Mallorca, off the coast of Catalonia. He was brought up in the Royal Court and would become the dominant figure in Medieval Catalan literature. In 1272, he conceived of reducing all knowledge to first principles. His work greatly influenced Leibniz. Arguably, the foremost Medieval logician. His enduring contribution to natural philosophy is the "principle of parsimony" known as Occam's Razor (the simplest explanation compatible with observations is preferred). Noted talmudist and philosopher known to the French as Léon de Bagnols (Magister Leo Hebraeus). Forefather of Group theory, he studied permutations for their own sake (1321). He published the modern proof of the law of sines in 1342. In 1327 and 1340, Joannes Buridanus was rector of Paris where he had studied under Ockham (whom he condemned in 1340). Buridan seeded Copernican ideas. He contributed to probabilities and optics. His concept of impetus (c.1340) anticipated momentum. Excommunicated for nominalism. Madhava gave the first examples of power series (besides geometric series) as expansions of trigonometric functions (sin, cos, arctg). Madhava's knowledge was perpetuated and expanded by the school he founded in Kerala and may have influenced similar developments later, in the West. Mathematical prodigy, earliest publisher of printed scientific works. Johannes Müller von Königsberg signed Joannes de Monte Regio. ( "Regiomontanus" was coined in 1534, by Melanchthon). Cardano scorned him for publishing Jabir ibn Aflah's spherical trigonometry without proper credit. 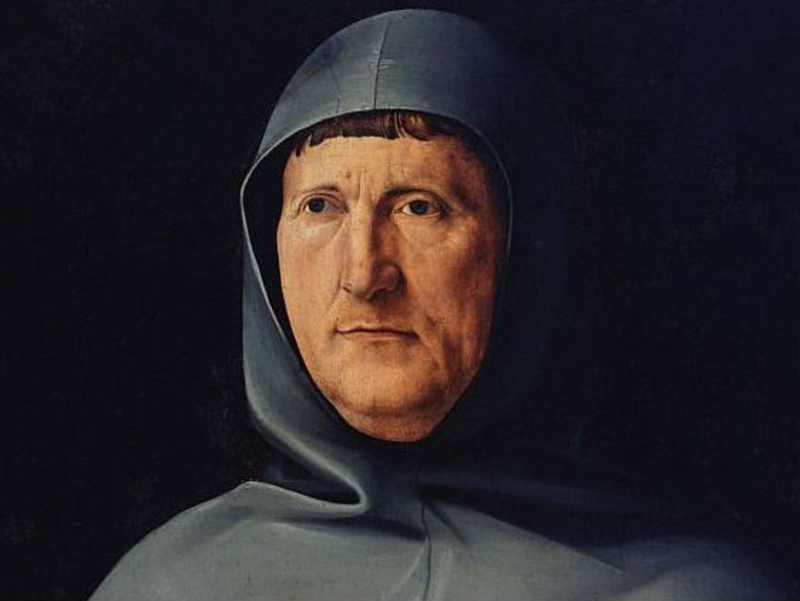 Artist and full professor of mathematics, Pacioli invented modern Venitian double-entry accounting in 1494. He shared living quarters in Milan (1494-1499) with Leonardo da Vinci, who illustrated Pacioli's second masterpiece "De divina proportione" (with iconic polyhedral frames). A stellar Renaissance painter, he left 13000 pages of illustrated notes on science and engineering (in mirror-image cursive). He was taught mathematics by Luca Pacioli with whom he lived in Milan, while painting The Last Supper. (c. 1495) and illustrating Pacioli's "De divina proportione". Mikolaj Kopernik attended Krakow, Bologna, Padua and Ferrara. Thanks to his uncle, he became a canon at Frauenberg (1497) where he would have an observatory. Around 1514, he gave an heliocentric explanation to planetary retrograde motion (published only posthumously). Philippus Aureolus Theophrastus Bombastus von Hohenheim chose the pseudonym Paracelsus in honor of the encyclopedist Celsus. He is the first systematic botanist. He named zinc (1526) and revolutonized medicine (without freeing it from superstition) by using mineral chemicals. Son of a mounted postman who was murdered when he was only six. The nickname Tartaglia (stutterer) came from an infirmity due to the larynx injury he suffered in the Sack of Brescia (Feb. 1512). He became a military engineer and founded ballistics (1531). Solved the cubic on 1535-02-13. First scholar to use negative numbers routinely. In 1545, he revealed the solution of cubic equations obtained by del Ferro (1465-1526) in 1516 and rediscovered (1535-02-13) by Tartaglia (1499-1557). It had been extended to quartics, in 1540, by his own assistant Lodovico Ferrari (1522-1565). Ambroise Paré was a royal military surgeon. On one occasion on the battlefield, he had to use a makeshift ointment. He observed that the soldiers so treated recovered much better than those who underwent the formerly "recommended" treatment (i.e., burning wounds with oil). Breaking with the precepts of Galen, Andreas Vesalius Bruxellensis revolutionized medicine in 1543 with the first modern book on human anatomy, based on the detailed observations he made during the dissections that he carried out in front of medical students at the University of Padua. His name is also spelled Viette (latin: Franciscus Vieta). Viète pioneered modern algebraic notations, where known constants and unknown quantities are represented by letters. The trigonometric law of tangents (c. 1580) is due to him. In 1593, he gave an expression of p as an infinite product. Tyge Ottesen Brahe was from the high Danish nobility. His Uraniborg observatory, on Hven island, cost 1% of the state budget but allowed precise (naked-eye) observations of planetary positions which made possible the work of Kepler. Flemish engineer who introduced decimal fractions (1583) shortly after Viète (1579). Stevin wrote in Dutch and coined many Dutch scientific terms (without the Latin/Greek roots used in other languages). He found that the pressure exerted by a liquid at rest in a vessel depends only on depth (1586). Known as Neper to the French, he invented an early version of logarithms which he spent years tabulating. This improved upon prosthaphaeresis (multiplication using trigonometry). Common (decimal) logarithms are due to his younger contemporary Henry Briggs (1561-1630). Harriot discovered the law of refraction in July 1601 (years before Snell or Descartes). He made the first telescopic drawing of the moon (1609-07-26). and was first to record sunspots (1610-12-08). He worked out the Sun's rotation. His research waned after 1613, as he battled skin cancer. Using his own pulse as a timer, Galileo discovered the pendulum isochronism in 1581. He found that all bodies fall with the same acceleration and declared mechanical laws valid for all observers in uniform motion. He made the first telescopic observations of celestial bodies (1609). Kepler's precise calculations helped establish heliocentric astronomy. In 1609 and 1619, he published his famous 3 laws of planetary motion. He studied optics, polyhedra, logarithms, etc. Arguably, he paved the road to Calculus. Founder of pneumatic chemistry and biochemistry, who coined the word gas (1632). He famously proved that plant bulk doesn't come from soil by weighing a potted willow tree after 5 years. His chemical work was published in 1640 by his son, Franciscus Van Helmont (1614-1698). William Harvey started modern experimental medicine with his discovery of the circulation of the blood. He had been a student at Padua, where the Flemish anatomist Andreas Vesalius (1514-1564) had started encouraging students to observe rather than conform to the precepts of Galen. 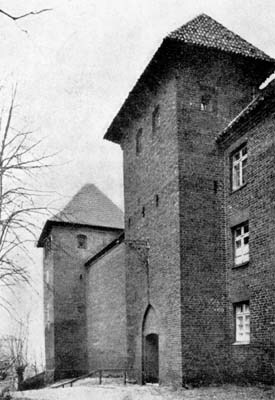 Of modest origins, Mersenne attended the newly-created Jesuit college of La Flèche (1604-1609) then studied in Paris until July 1611, when he joined the Order of Minims (founded in 1436). He was ordained one year later. His informal Academia Parisiensis (1635) had 140 members. Building on the fundamental results of Pappus, Desargues invented projective geometry in 1639. That innovation was largely ignored, except by the likes of Pascal and La Hire, until a key manuscript rediscovered in 1845 was published in 1864, following a remarkable rebirth of the subject. French-born mathematician who took refuge in Holland (he was a Calvinist). Generalizing Viète's formulas, Girard saw the coefficients of any monic polynomial as symmetric functions of its roots. In 1629, he foresaw the fundamental theorem of algebra (proved by Gauss in 1799). Descartes attended the famous Jesuit college of La Flèche from 1607 to 1615. He met his scientific mentor Isaac Beeckman (1588-1637) in 1618. He introduced cartesian geometry in one of the three appendices to Discours sur la méthode (1637). Proponent of substance dualism (1641). Fermat attended Toulouse and Bordeaux, got a law degree from Orléans and purchased an office at the parlement of Toulouse in 1631. He pursued investigations in mathematics and physics in his spare time (his judicial work suffered). Orphan. Assistant to Castelli, then Galileo. Torricelli invented the barometer in 1644: He figured out that what's above a column of 760 mm of mercury is a near-perfect vacuum (just rarefied mercury vapor). What pushes the liquid up the tube is the (variable) atmospheric pressure. Appointed to the Savilian Chair of Geometry at Oxford by Oliver Cromwell in 1649, John Wallis held that position for more than 50 years. In 1655, he published his great Arithmetica Infinitorum, which helped pave the way for the introduction of modern Calculus by Newton and Leibniz. The Jesuit (1632) who discovered light diffraction and named it so. His posthumous book sparked Newton's interest in optics. 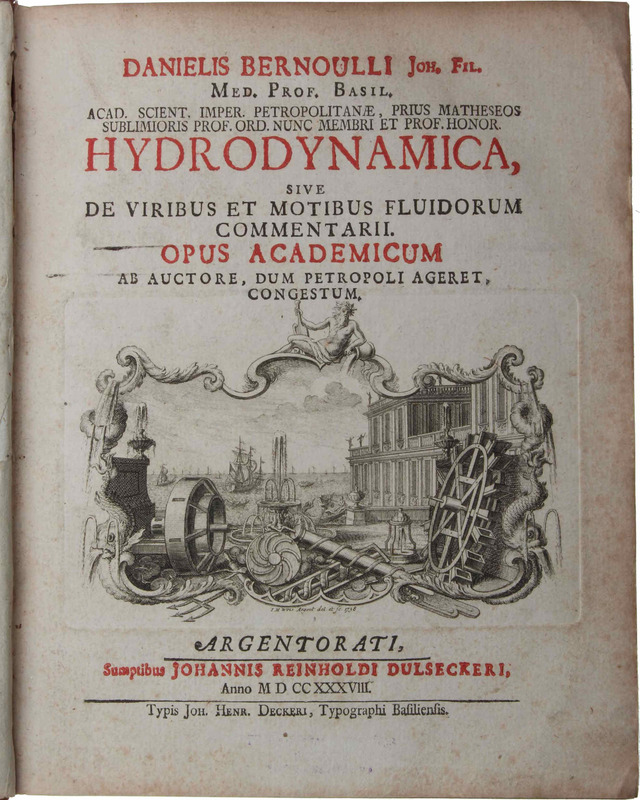 Huygens also owned a copy, which may have inspired his formulation of Huygens' principle in 1678 (which Fresnel only applied to diffraction patterns in 1816). At 16, he generalized the theorem of Pappus. At 19, he built a celebrated mechanical calculator. In 1647, Pascal thought of using a Torricelli barometer as an altimeter, which established experimentally (1648) the origin of atmospheric pressure. The SI unit of pressure (Pa) is named after him. He improved lensmaking (1654) discovered Titan (1655) described Saturn's rings (1656) invented the pendulum clock (1656) and achromatic eyepieces (1662). He formulated the centrifugal law (deducing the inverse-square law of gravity) & conservation of momentum. Wave theory of light (1678). In 1660 (as assistant of Robert Boyle) his law of elasticity affirmed the notion of force. After the Great Fire (1666) he surveyed half of London and designed many new buildings. For 40 years, he produced new experiments weekly for the Royal Society. He was a microscopic & telescopic observer. Observing feathers, he found the principles of diffraction gratings. He rediscovered (1668) Madhava's expansion of Arctangent as a power series (yielding fast computations of pi using Machin-like formulas). Newton gave Gregory some credit for the fundamental theorem of calculus. The Japanese Newton. Second son of a Samurai warrior. Adopted by a technocrat (Gorozaemon SEKI ) whose name he took. Some of Seki's discoveries predate their Western counterparts: Determinants (1683) Bernoulli numbers, etc. He was the teacher of Katahiro TAKEBE (1664-1739). Lucasian professor of mathematics in 1669. FRS in 1672. Publishes Principia in 1687. Retires from research in 1693. Warden (1696) then Master (1699) of the Royal Mint. President of the Royal Society from 1703. Knighted in 1705. Proponent of the corpuscular theory of light. Also known as Lucrezia Piscopia, Elena Lucrezia Cornaro-Piscopia was from the Venetian nobility. She was an Oblate of the Order of St. Benedict (1665) and a mathematician... On 25 June 1678, she became the first woman to be awarded a doctorate (from Padua). 54 years before Laura Bassi. A major philosopher and a polymath, Leibniz invented differential calculus independently of Newton. He introduced a consistent notation for integrals and infinitesimals (1675). Unlike d'Alembert or Cauchy, Leibniz didn't think of derivatives as limits (cf. Robinson). In 1691, he proved a statement of Bháscara: If a polynomial has equal values at two points, then its derivative vanishes somewhere between those points. The result was generalized beyond polynomials by Cauchy (1823). It was first called "Rolle's theorem" by Drobisch (1834) and Bellavitis (1846). He reformulated statics (1687) and introduced the notion of torque. With Guillaume de l'Hôpital, he pioneered calculus in France. First holder of the chair of mathematics at the Collège des quatre-nations (1688). Inventor of the manometer (1705). Varignon rejected divergent series. Earliest mathematician in a family that would produce many (but none among his descendants). With his younger brother Johann, Jacob pioneered the calculus of variations (which Euler would tackle in 1744). He found Bernoulli numbers (independently of Seki) and formalized probability theory. French Huguenot, tutored by Jacques Ozanam (1640-1718) in 1684-85. He fled to England shortly after 1685, eking out a living as a tutor and actuary. He befriended the likes of Halley and Newton and entered all major mathematical societies: London (1697), Berlin (1735) and... Paris (1754). Father of Daniel and main teacher of Leonhard Euler. Initiated by his older brother Jacob, he collaborated with him on early topics in the calculus of variations. Hired to teach Guillaume de l'Hôpital, Johann had to name after his student the famous rule he discovered during that work-for-hire. He invented the calculus of finite differences and integration by parts. In 1772, Lagrange would place Taylor's theorem at the root of differential calculus. In discussing the stretched string (1712) Taylor himself stressed the need for functions lacking a Taylor expansion! Scottish mathematician (FRS, 1726). In his first publication Lineae Tertii Ordinis Neutonianae (1717) he extended to 76 the number of types of planar cubic curves (Newton had identified 72). The Stirling series is a classic example of a divergent asymptotic series. Pierre-Louis Moreau de Maupertuis used his principle of least action (1744) to reformulate Newtonian mechanics. This paved the way for Lagrangian and Hamiltonian mechanics and provided an elegant key for an historical derivation of Schrödinger's equation, published in 1928. The feuding Bernoulli family produced five leading Swiss mathematicians, born in 1655, 1667, 1695, 1700 and 1710. Pioneer of fluid dynamics, Daniel formulated Bernoulli's Law (the cornerstone of aircraft wing design). His solution of the St Petersburg paradox helped define utilities (1731). Nonconformist Presbyterian minister (like his father) who left behind his discovery (edited by Richard Price) of what Laplace named conditional probabilities (1812). Reversing that leads to probabilistic causality (Bayesian inference) as championed by Judea Pearl (1936-) for AI, since 1988. At the same time as Watson (1746) Franklin formulated the law of conservation of charge by positing opposite signs for resinous (-) and vitreous (+) electricity. At 19, Gabrielle-Emilie de Breteuil married the Marquis Florent-Claude du Chastellet. She was the lover of Voltaire whom she and her husband protected in their château. She was tutored by Maupertuis (1733) and Clairaut (1735). She popularized the concept of energy introduced by Leibniz. He solved the Basel Problem in 1735. The most prolific mathematician of all times, Euler became totally blind in 1771. He still produced nearly half of his 866 works after 1766 (in St. Petersburg) with the help of several assistants, including Nicolaus Fuss (1755-1826) who joined in 1773. Gabriele Manfredi (1681-1761) initiated her to higher mathematics and newtonian physics. In 1732 (at age 21) Laura Bassi became the second woman to earn a doctorate and the first to teach at a European university (Bologna). She was finally named professor of physics there, in 1776. At age 16, he introduced the study of space curves. He was the youngest member ever of the Académie des Sciences (July 1731). Clairaut's theorem (1740) says that, provided it's continuous, a partial derivative with respect to several variables doesn't depend on the order of the differentiations. Editor of the momentous Encyclopédie. Born illegitimately to Louis Camus des Touches "Canon" (1668-1726) and Claudine de Tencin. He founded analytical mechanics on a principle of virtual work and solved the wave equation. He mentored Laplace. The d'Alembertian is a 4D operator. Child prodigy and author of the first mathematical book by a woman (1748). In 1750, she was appointed to the chair of mathematics at Bologna by Pope Benedict XIV but she never went there (the first woman to hold a chair in Europe was thus Laura Bassi, in 1776). Etienne Montucla was a mathematician and a historian. He authored the first book on the history of mathematics: Histoire des mathématiques (1758, 1798). 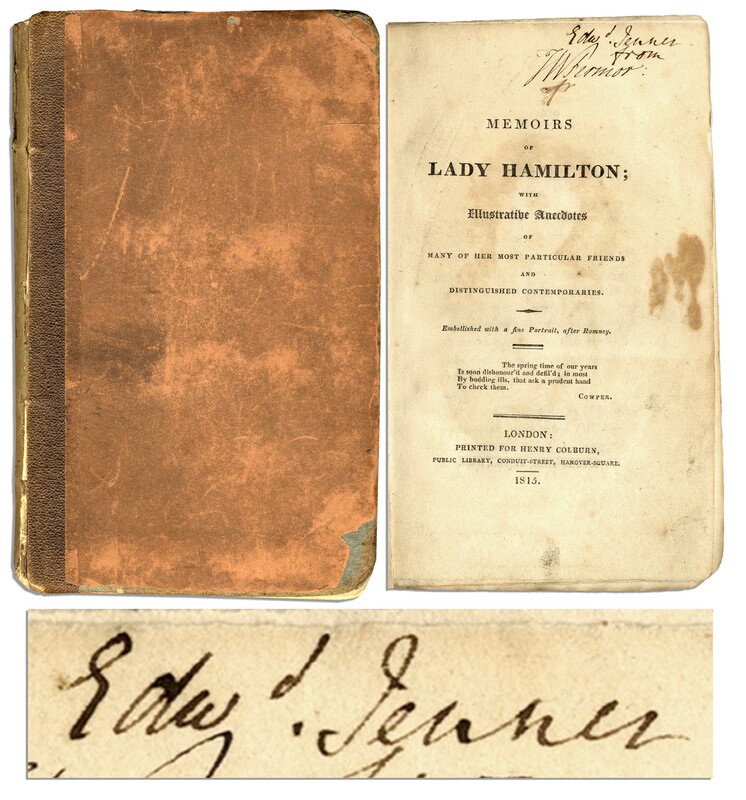 The third volume (1799) was completed and published by Lalande (1732-1807) who also wrote the fourth and final one (1802). Johann Heinrich Lambert (French: Jean-Henri Lambert) was born in Mulhouse, which was then in Switzerland (it's now in France). His 6-volume mathematical textbook (1770-1782) was once standard for students wishing to enter Polytechnique (this was also used at Harvard for calculus). His theory (1779) of algebraic equations led to algebraic geometry. Bézout's little theorem says (x-a) divides the polynomial P(x)-P(a). Dutch-born British physician who discovered the principles of photosynthesis. Building on the work of Joseph Priestley (1771) Ingenhousz showed that green plants do require sunlight to produce oxygen (1779). He was honored by a Google Doodle on his 287-th Birthday (2017-12-08). Retro-diagnosed with Asperger's syndrome, absent-minded and pathologically shy, he could not talk to women at all. In 1766, Cavendish discovered what Lavoisier would call hydrogen. In 1798, he measured Newton's Universal constant of gravity (G) to an accuracy of 1%. In 1760, Lagrange tackled the calculus of variations (named by Euler in 1766). He applied it to analytical mechanics and invented Lagrange multipliers (1788). He gave accurate secular variations of solar orbits (1782). 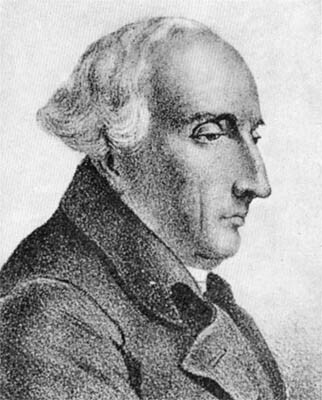 Lagrange was the first professor of analysis at Polytechnique (1794-1799). Antoine Lavoisier founded quantitative chemistry by establishing that mass is conserved in any chemical transformation. He was infamously executed during the French Revolution because of his rôle as a tax collector. Marie, Jean, Antoine, Nicolas de Caritat, Marquis de Condorcet founded Social Choice Theory in 1785 with his Essay on the Application of Analysis to the Probability of Majority Decisions (introducing Condorcet's paradox). He was a moderate leader during the French revolution. Correctly interpreting the 1791 observation by Luigi Galvani (1737-1798) of muscle contractions in a dead frog, Volta reasoned that electricity is generated upon contact of two different metals. Replacing living tissue by paper soaked with saline electrolyte, he built the first battery in 1799. In 1768, he succeeded his mentor Charles Bossut to the chair of mathematics at the Ecole de Mézières. Monge would use that school as a model for Ecole Polytechnique, founded in 1794 with himself as Director and instructor in descriptive geometry (the drafting technique he had devised in 1765). Initiated to mathematics, in Caen, by Christophe Gadbled and Pierre Le Canu, Laplace was mentored by d'Alembert (in Paris) and became one of the most influential scientists ever (Laplacian, Laplace transform). With Lavoisier, he proved respiration to be a form of combustion (1783). Before Jenner, risky variolation and other inocculations were believed to induce immunity to dangerous diseases (20% of human deaths were due to smallpox). Putting some human lives at risk, Jenner proved that innoculation with harmless cowpox did protect against the dreaded smallpox. A student of l'abbé Marie (1738-1801) Legendre grew to be one of the greatest contributors to the mathematics of his times. Many concepts are named after him. 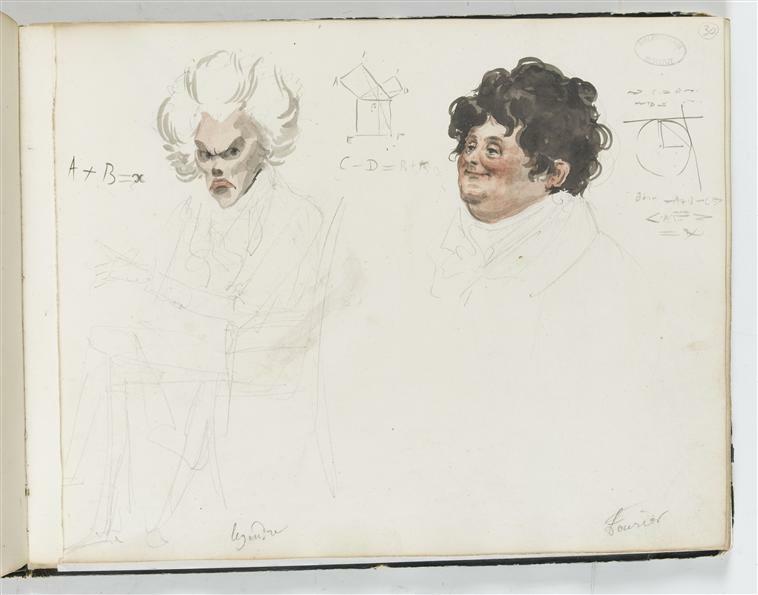 At left is what seems to be his only extant portrait (it was found among 73 caricatures of members of the French academy of Sciences). In 1776, under Monge, Meusnier read to the Académie two papers about surface curvature and the helicoid (both published in 1785). With Lavoisier, he mass-produced hydrogen by oxydizing 600°C iron with water vapor (1777). Meusnier fought as a general and died in battle near Mainz. Joseph Nicéphore Niépce invented photography (1826). He built the first internal combustion engine (Pyréolophore, 1807) with his brother Claude (1763-1828). His cousin Abel Niépce de Saint-Victor (1805-1870) photographed radioactivity in 1857 (39 years before Henri Becquerel did). Quaker schoolteacher. His first paper was on the genetic red-green color blindness (Daltonism) which affected him and 8% of European boys but only 0.64% of the girls. Studying meteorology, he found the law of partial pressures (1801) which supported his celebrated atomistic views of chemistry. In January 1795, Jean-Baptiste Joseph Fourier was the star trainee in the new Ecole normale de l'an III (the forerunner of ENS) simultaneously teaching at Polytechnique. He is the founder of Harmonic Analysis (cf. Fourier transform). Notorious for his two-slit experiment demonstrating the wavelike nature of light (1802) and for Young's modulus of elasticity (1807). Young's rule gives the posology for an n-year old child as n/(n+12) of the adult dose. Young paved the way for the decoding of hieroglyphics by Champollion. Appointed professor of mathematics at Polytechnique in 1809. In september 1820, he discovered that like currents attract each other whereas opposite currents repel. The effect is now used to define the SI unit of current, which is named after him. Expelled from Mezières for shady reasons (1793) he became a student at Ecole Polytechnique upon its creation (1794). Malus discovered the polarization of light by reflection off non-metallic surfaces (1809) and by double-refraction (1810) which brought him multiple honors. At 13, the story of the death of Archimedes inspired her to become a mathematician. She was 18 when Polytechnique opened (it was male-only until 1972) and made available Lagrange's lecture notes. This gave her a start to correspond with him and others (signing Monsieur LeBlanc at first). Lorenzo Romano Amedeo Carlo Avogadro, Conte de Quaregna e di Cerreto was born in Turin to a noble family of Savoy-Sardinia. In 1820, he accepted the first chair of mathematical physics at the University of Turin, which had to close in 1822. Avogadro got the chair back in Nov. 1834. At the age of 7, the Prince of Mathematics found instantly the sum (5050) of all integers from 1 to 100 (as the sum of 50 pairs, each adding up to 101). At 19, his breakthrough about constructible polygons helped him choose a mathematical career. Honored by a Doodle on 2018-04-30. Among his many mathematical contributions is a very abstract construct in analytical mechanics (Poisson Brackets, 1809) which helped Dirac formulate a precise correspondence between classical and quantum mechanics (Sunday, Sept. 20, 1925). He taught analysis and geometry at Polytechnique from 1810 to 1830, at the peak of his creativity (electromagnet, 1820). A popular left-wing deputy elected in 1830, Arago became Minister of Marine and War in 1848 and was instrumental in abolishing slavery in the French Colonies (1848). In 1814, his observation of the Sun's dark-line spectrum (Fraunhofer lines) marked the beginning of astrophysics. Fraunhofer is also remembered for related studies of diffraction in optical systems with small Fresnel numbers (Fraunhofer diffraction). Knighted in 1824 (Bavaria). Trained in Caen (1801-1804) then at Polytechnique. Poor physicist at first... In 1821, Augustin Fresnel established (with Arago) that light is a transverse wave whose two polarizations don't interfere with each other. He invented Fresnel lenses for use in lighthouses. POW in Russia for 15 months (1812-1814) he brought back from Saratov the 7 notebooks in which he had invented modern projective geometry. Promoted to Colonel in 1845 and General in 1848, Poncelet headed Polytechnique from 1848 to 1850. A devout royalist, Cauchy wrote 789 papers in all areas of the mathematics and theoretical physics of his time. In 1821, his Cours d'analyse at Polytechnique made analysis rigorous. He originated the calculus of residues (1826) and complex analysis (1829). Like his mentor Karl Mollweide, he was both an astronomer and a mathematician. He invented homogeneous coordinates (1827) and gave his name to many concepts: Möbius plane, Möbius group, Möbius function, inversion formula, etc. He established angles as signed quantities. In 1831, Faraday discovered the Law of Electromagnetic Induction, which made the electric era possible. He is widely regarded as one of the greatest experimentalists who ever lived. Yet, he had little or no grasp of higher mathematics. He was Lucasian Professor (1828-1839) at Cambridge but never taught. He designed two computing machines: The Difference Engine (funded in 1822) was never completed. The more advanced Analytical Engine would have been the first true computer (Ada Lovelace wrote programs for it). He gave the terms work (travail) and kinetic energy their precise mechanical meanings. At Ponts-et-Chaussées since 1832, Coriolis inherited the chair of Mechanics there, in 1836, upon the death of Navier, and became director of studies at Polytechnique. Inventor of hyperbolic geometry (1829). Non-Euclidean geometry was independently re-discovered by János Bolyai (1802-1860) in 1832, prompting Gauss to quote his own unpublished views. This paved the way for Riemann and Beltrami. He put forth the Lobatchevsky integral formula. Green worked in his father's bakery and mill. He entered Cambridge at the age of 40 (in 1833) 5 years after self-publishing his best work (extending the work of Poisson in electricity and magnetism) using self-taught mathematical physics. Green coined the word potential. Professeur of geodesy at Polytechnique from 1841 to 1851, he inaugurated the Sorbonne chair of projective geometry, then called higher geometry (1846-1867). His reputation as a science historian was all but ruined when he bought forged manuscripts (1861-1869) from Denis Vrain-Lucas. In his first published paper (1826) he devised geometrical inversion (paving the way for homographic transforms) which embodies duality for polyhedra, convexes, etc. He contributed to the rebirth of projective geometry in the first half of the eighteenth century. Roman surface (1844). He found the law of induction independently of Faraday (mutual inductance) and discovered self-inductance (1832). The SI unit of inductance was named after him in 1960. His relay (1835) made practical the electrical telegraph devised by Schilling (1832) and patented by Morse (1847). In 1858, using the handiwork of Heinrich Geissler (1814-1879) he paved the way for the invention of the CRT (by Crookes, c. 1875). He was the doctoral advisor of Klein. In 1866. Plücker received the Copley Medal for his work in analytical geometry, magnetism and spectral analysis. Niels Abel produced many brilliant results during a short life spent in poverty: Non-solvability of quintic equations by radicals, double periodicity of the elliptic functions, etc. An offer for his first professorship (at Berlin) arrived two days after he had succombed to tuberculosis. A pupil of Lhuilier in Geneva, he earned a top prize with Colladon for measuring the speed of sound in water (1826-27). They both moved to Paris. Teacher at Rollin (1830) French citizen (1833). He succeeded Ampère at Académie des sciences (1836) and Poisson at Polytechnique (1840). An inspiring teacher, he was an outstanding and prolific creator of mathematics who has been likened to Euler. He introduced ¶ and Jacobians in 1841. Jacobi admired Poisson brackets and proved that they satisfy what's now called Jacobi's identity. Johann Peter Gustav Lejeune-Dirichlet. signed Gustav Lejeune Dirichlet, (no hyphen) published as P.G.L. Dirichlet and was quoted as Lejeune-Dirichlet. He contributed to number theory, mechanics and analysis. He was the first to consider unrestricted functions. A calculating prodigy who lost to Zerah Colburn at age 8, Hamilton started to teach himself higher mathematics at 13. In 1833, he devised a version of rational mechanics (based on conjugate momenta) which would help clarify quantum mechanics later. He invented quaternions in 1843. Against strong religious animosity (which lasts to this day in the US) Darwin established that the mechanism of natural selection was powerful enough to explain the evolution of the humblest ancient lifeforms into the most advanced modern ones, featuring very sophisticated organs. Many of Liouville's 400+ papers include key contributions, like his conservation of Hamiltonian phase-measure. In 1836, he founded the Journal de mathématiques pures et appliquées and promoted the work of others, including the late Evariste Galois. Around 1832, he pioneered the modern approach to vectors and went on to invent exterior algebra (the correct basis for Cartan's differential forms and/or Bourbaki's "Stokes' theorem"). Grassmann had little mathematical influence during his own lifetime (he became successful as a linguist). Eduard Kummer was Kronecker's inspirational high-school teacher. He had 55 doctoral students, including Frobenius and Hermann Schwarz (his son-in-law). He proved FLT for all regular primes and invented the ideal numbers which prompted Dedekind to build the theory of ideals. Galois theory is about symmetries of polynomials on fields. Galois "didn't have time" to extend that to transcendental functions (nobody else has done so). He died in a stupid duel at the age of 20 and his fundamental work might have been lost if Liouville hadn't revived it in 1843. He introduced the notion of higher-dimensional vectors (between 1850 and 1852, full treatise published in 1901). He pioneered multi-dimensional Riemannian manifolds by considering the 3D-hypersurface of a 4D-hypersphere. Schläfli also classified all regular polytopes. In 1838, he founded the preparatory school at Sainte-Barbe with Sturm and Liouville. His left-wing activism damaged his academic career. He was elected to the French National Assembly. Catalan's conjecture (1843) saying that the only solution of 1+xm = yn is 1+23 = 32, was proved in 2002. Sylvester made fundamental contributions to matrix theory, invariants, number theory, partitions and combinatorics. He inaugurated the chair of mathematics at Johns Hopkins (1877-1883) and founded the American Journal of Mathematics (1878). Then, he became Savilian Professor. The father of analysis spent 15 years teaching secondary school before one paper earned him an honorary doctorate and a professorship. He gave the rigorous metric definition of limits and invented the concept of analytic continuation. Boole shares credit with Augustus De Morgan (1806-1871) (author of Formal Logic, 1847) for Boolean logic, now a fundamental ingredient in digital electronics. He also published about differential equations. His wife Mary (niece of G. Everest) and daughter Alicia were mathematicians too. Home-schooled Russian aristocrat. His mathematics tutor was the textbook author Platon Nikolaevich Pogorelski (1800-1852). Chebyshev contributed to number theory, algebra, analysis, mechanics, etc. In 1850, he derived Bertrand's postulate from the totient function's asymptotics. He wrote 996 papers on many mathematical subjects (200 of these while praticing law, for 14 years). In 1858, Cayley established (without a formal proof) the Cayley-Hamilton theorem: A matrix is a zero of its characteristic polynomial. We use his initial (H) for enthalpy, not for the Helmholtz free energy (F). Helmholtz is primarily known for his work in physics (thermodynamics, acoustics, elasticity, etc.) but the fundamental theorem of vector calculus (3D only) is also named in his honor (Helmholtz decomposition). Father of genetics. Mendel communicated his results to Karl von Nägeli (1817-1891) who expressed contempt for them and was instrumental in burrying them for three decades. Mendel's laws of heredity were rediscovered in the 1890s by Hugo de Vries (1848-1935). After one year at Polytechnique, the military management dismissed him because of a congenitally deformed right leg. Returning as a teacher, five years later, he contributed to number theory, orthogonal polynomials and elliptic functions. He proved e transcendental in 1873. A chemist by training, he separated chiral isomers by sorting the different crystals they produce. He proved the germ theory of infectious diseases and invented pasteurization. Motto: Fortune favors the prepared mind. His impoverished family had converted from Judaism to Protestantism before he was born. Gauss named Eisenstein one of the top three epoch-making mathematicians in history (along Archimedes and Newton) and Weil considered his approach paramount to modern mathematics. He died at 29. Famous for his credo "God made the natural numbers; all else is the work of man", Kronecker championed constructivism. He strongly opposed his former student Georg Cantor and the emerging nonconstructive Set Theory. He formulated the basic laws of electrical circuits (1845) and the three fundamental laws of spectroscopy. In 1858, he showed that, in thermochemistry, the variation with temperature of the heat of reaction is the difference between the heat capacities of the products and the reactants. Born William Thomson, Lord Kelvin was knighted in 1866 and raised to the peerage in 1892 (Baron Kelvin of Largs). The SI unit of temperature is named after this mathematician noted for his engineering work (e.g., transatlantic telegraph). In 1851, his thesis introduced Riemann surfaces. Riemann's habilitation lecture on the foundations of geometry (1854) stunned even Gauss. Probing the distribution of primes with his zeta function, he stated the Riemann Hypothesis in 1859 (in his first and only paper on number theory and primes). Applying Pasteur's ideas, he introduced antiseptic surgery while working at the Glasgow Royal Infirmary. Lister used carbolic acid (phenol) to sterilize instruments and clean wounds. This reduced post-operative infections and made surgery safer. Baronet in 1883, he became a Baron in 1897. Pioneer of synthetic organic chemistry. He was opposed to atomist notations. He signed his papers P.E.M Berthelot. Collège de France (1865). Académie des sciences (1873). Senator (1881). French Minister of education (1886-87) and foreign affairs (1895-96). Académie française (1901). In 1865, Kekulé had a revelation of the cyclic structure of benzene in a daydream where he saw snakes biting their own tails. He first proposed a planar molecule of trigonal symmetry, with alternating single and double bonds (instead of the currently accepted perfect hexagonal symmetry). In 1864, he devised Maxwell's equations which unify electricity and magnetism, by describing electromagnetic fields traveling at the speed of light. In 1866, Maxwell proposed (independently of Boltzmann) the Maxwell-Boltzmann kinetic theory of gases. Julius Wilhelm Richard Dedekind was the last doctoral student of Gauss (1852) but he also learned much from Dirichlet after his doctorate. On 24 November 1858, he defined every real number as a Dedekind cut of rationals. In 1871, he introduced algebraic ideals. In 1869, he presented a classification of chemical elements (based mostly on atomic masses) which showed periodic patterns in their chemical properties. He predicted the properties of 3 unknown elements which were discovered shortly thereafter: Ga (1871), Sc (1879) and Ge (1886). Bringing to a great conclusion the works of Gauss, Bolyai, Lobachevsky and Riemann on non-Euclidean geometry, he showed that geodesics matched straight lines on the plane only for surfaces of constant curvature. His pseudosphere (generated by rotating a tractrix) is the key example (1868). Johannes Diderik van der Waals obtained a doctorate in his native town of Leiden only when classical languages requirements were lifted in Science (he was 36). At a time when the very existence of molecules was doubted, his thesis showed how molecule interactions explain gas liquefaction. A universal mathematician and one of the greatest teachers of the 19-th century, he inspired Lie, Klein, Borel and Lebesgue. He invented the topological concept of homotopy (1866). Camille Jordan was appointed professor of Analysis at Polytechnique in 1876. Mach would only consider relative motion between objects, irrespective of absolute Newtonian space. He studied the shockwaves produced by fast projectiles (the Mach number of a projectile is the ratio of its speed to the speed of sound in the surrounding fluid). Mach was Pauli's godfather. Son of a philology professor at Yale, Gibbs earned the first American doctorate in Engineering (1863). His work in statistical mechanics and thermodynamics transformed much of chemistry into a deductive science. The great importance of his contributions was only acknowledged after his death. Founder of modern optics. His industrial commitments to the instrument-maker Carl Zeiss (1816-1888) and the glassmaker Otto Schott (1851-1935) prevented Abbe from accepting a professorship at Berlin (offered by Helmholtz). He tied his definition of integrals (1870) to that of Riemann in 1875. The Darboux formulas define the normal and geodesic curvatures as well as the geodesic torsion for a curve drawn on a surface. He was a biographer of Poincaré. Darboux was elected to the Académie des Sciences in 1884. He's the man who explained why the sky is blue (Rayleigh scattering). He described surface acoustic waves (SAW or Rayleigh waves, 1885) before they were observed in earthquakes. He earned the Nobel prize (1904) for his 1892 discovery of Argon. Rayleigh was J.J. Thomson's advisor. Founder of modern bacteriology. He identified the etiologic agents of anthrax (1876), tuberculosis (1882) and cholera (1884). His Google Doodle (2017-12-10) shows the potato slices he first used for bacterial growth and the Petri dish invented by his assistant Julius Petri (1852-1921). With Felix Klein, Sophus Lie originated the investigation of the continuous groups of symmetry now named after him. The study of Lie groups and the related Lie algebras would become a major branch of 20-th century mathematics, with applications to quantum mechanics. A proponent of atomic theory and the father of statistical physics. We call Boltzmann's constant the coefficient of proportionality between entropy (in J/K) and the natural logarithm of the number W of allowed physical states. Cantor's diagonal argument shows that the points of a line are not countable. More generally, Cantor's Theorem states that no function from a set to its powerset can possibly be surjective, which establishes an infinite sequence of increasing infinities. Like Cavendish, Sylvester, Kelvin and Maxwell before him, Clifford was Second Wrangler at Cambridge (in 1867). The most successfull inventor ever. His 1093 US patents cover the phonograph, light-bulb, motion picture camera... In 1876, he created the first industrial research laboratory at Menlo Park, NJ. He favored DC current, which lost out to Tesla's AC generation and distribution of electric power. Investigating Lie groups independently of Lie and Klein, he fully classified simple Lie groups in 1887 (as confirmed by Cartan in 1894): 5 exceptional Lie groups (E6 , E7 , E8 , G2 , F4 ) and three regular families: special linear groups SL(n), orthogonal groups O(n), symplectic groups Sp(2n). Born on 1849-4-25 (432, 22, 52 ) to a Prussian government official, he married the granddaughter of Hegel in 1875. The noncyclic group of order 4 bears his name. As first president of the ICMI (1908) he was instrumental in bringing Calculus (back) to secondary schools worldwide. In 1892, Weierstrass made him succeed Kronecker in Berlin, upholding traditions that would lose out to what flourished at Göttingen under Klein. He contributed to pure mathematics in group theory (character theory), differential equations, etc. He proved the Cayley-Hamilton theorem in 1878. Sofia Vasilyevna Kovalevskaya was born Sonya Korvin-Krukovskaya. Weierstrass tutored her privately (1870-1874) and helped her become the first female professor at a European university (Stockholm, 1889) since the days of Laura Bassi (1776) or Maria-Gaëtana Agnesi. His innovations, which made higher-mathematics easier to use, include operational calculus and vector calculus (which reduced to 4 the number of Maxwell's equations). In 1902, he predicted the Kennelly-Heaviside layer of the ionosphere, whose detection (1923) got Appleton a Nobel prize, in 1947. Founded physical chemistry. Earned the first Nobel Prize in chemistry (1901) for his work on equilibrium, reaction rates and osmotic pressure. His first paper (1874) introduced stereochemistry (independently of Le Bel). Van 't Hoff's equation (1884) says how equilibria depend on temperature. His grandfather, father and son had the same career path as himself: Polytechnician (*), physics chair at the Muséum national d'histoire naturelle and member of the Académie des sciences. For his re-discovery of radioactivity (1896-03-01) he shared a Nobel Prize with Pierre and Marie Curie. In 1884, he started the investigations of quadratic differential forms which led him to invent tensor calculus (1884-1894). The text he published about that with Tullio Levi-Civita in 1900 would enable Einstein to formulate General Relativity in 1915. Among the many contributions of H.A. Lorentz is the coordinate transformation which is the cornerstone of Special Relativity. In 1892, Lorentz proposed a theory of the electron (discovered by Perrin in 1895 and J.J. Thomson in 1897, who measured the mass-to-charge ratio). Doctoral student of Hermite (1879) and last universal genius. Quintessential absent-minded professor (cf. Savant Cosinus comic strip). Poincaré conceived Special Relativity before Einstein did. His mathematical legacy includes chaos theory and contributions to topology. He was originally trained as a mechanical engineer. At least 272 patents were awarded to Tesla in 25 countries. His work is the basis of modern alternating current (AC) electric power distribution. In 1960, the SI unit of magnetic induction (magnetic flux density) was named after him. J. J. Thomson found the first evidence for isotopes and (re)discovered the first subatomic particle, the electron, as constituent of cathode rays. Thomson won a Nobel (1906). So did his son and seven of his research assistants: Bragg, Wilson, Rutherford, Barkla, Richardson, Born and Bohr. In 1887, Heinrich Rudolf Hertz discovered the photoelectric effect, whose explanation by Einstein, in 1905, would establish the existence of photons. In 1888, he made the first transmission of a signal by radio waves. The SI unit of frequency (symbol Hz) was named after him, in 1960. Planck combined the formulas of Wien (UV) and Rayleigh (IR) into a unified expression for the blackbody spectrum. On Dec. 14, 1900, he justified it by proposing that exchanges of energy only occur in discrete lumps, dubbed quanta. In 1880, Peano joined the staff at Turin where he succeeded Angelo Genocchi (1817-1889) to the chair of Calculus, in 1890. Peano defined the integers axiomatically (1889) and found a space-filling curve (1890). He invented symbolic logic (1895) and devised a new natural language (1903). Like his mentor Paul du Bois-Reymond (a student of Kummer) Otto Hölder argued against formalism in foundational mathematics, as championed by Cantor, Hilbert or Robert Grassmann, of whom he was most critical (1892). His intuitionism resembled Poincaré's (not Brouwer's). One of the most powerful mathematicians ever, David Hilbert gave a famous list of 23 unsolved problems in 1900. Quantum Theory is based on the complex normed vector spaces which are named after him. In 1931, Gödel shattered the dream Hilbert had voiced in 1930 ("we will know"). Pioneering convex geometry, he proved an early version of the separation theorem (of Hahn-Banach) and called A+B the set of all sums with one addend in A and the other in B. His name was given to the Lp triangular inequality (1896) and to the relativistic scalar product in spacetime (1908). In 1892, he obtained his doctorate and was awarded the French Academy's Grand Prix for completing the work of Riemann on the Zeta function. He authored one of the first two proofs of the Prime number theorem in 1896. He gave functional analysis its name in 1910. Deeply influential. Madame Curie (née Maria Salomea Sklodowska ) was the first woman to earn a Nobel prize and the first person to earn two. In 1898, she isolated two new elements (polonium and radium) by tracking their ionizing radiation, using the electrometer of Jacques and Pierre Curie (her husband). In 1908, Henrietta Swan Leavitt published the period-luminosity relationship for Cepheid variable stars, which reveals their actual distances, even when stellar parallax is undetectable. This paved the way for the first measurement of the expansion of the Universe by Edwin Hubble (1929). In a Hausdorff space (1914) two distinct points are always disconnected. In 1919, he introduced fractional dimensions and defined d-dimensional measures. Hausdorff published literary work as Paul Mongré. Unable to escape the Nazis, he committed suicide with his wife and sister-in-law. His doctoral students include 4 Nobelists: (Debye, Pauli, Heisenberg, Bethe). He introduced two of the four atomic quantum numbers (azimuthal & magnetic) and a constant whose mysterious dimensionless value (about 1/137.036) is the only free parameter in quantum electrodynamics. In 1913, Cartan established, from a purely geometrical standpoint, the relations that lead to the quantization of spin. He developed exterior calculus and published his Theory of Spinors as a textbook in 1935. Godfather of Bourbaki and father of key Bourbakist Henri Cartan (1904-2008). In 1895, Jean Perrin showed that cathode rays consist of electrons (before J.J. Thomson did). In 1908, he pinpointed Avogadro's number and confirmed the atomic hypothesis, using Einstein's explanation of Brownian motion (1905). Founded Palais de la découverte (1937) and CNRS (1939). A Sainte-Barbe bursar, he ranked first in the top three French academic competitions of 1889: Concours Général, Polytechnique, Ecole Normale. He chose to enter the latter. Borel developed point-set topology and founded Measure theory. Elected to the Académie des Sciences in 1921. British physicist born in Nelson, New Zealand. His investigations of alpha and beta decay (which he so named) earned him a Nobel prize before he moved to Manchester, where he supervised the Geiger-Marsden experiment (1909) and inferred the planetary model of the atom (1911). In The Principles of Mathematics (1903) he argued that mathematics and logic are one and the same. With Alfred North Whitehead (1861-1947) he indeed formally derived foundational mathematics from logic principles, in the three volumes (1910, 1912, 1913) of Principia Mathematica. Greek mathematician with a doctorate from Göttingen (under Minkowski). He made contributions to the calculus of variations and founded axiomatic thermodynamics. In measure theory, Carathéodory's criterion characterizes measurability. He corresponded with Einstein (1916-1930). Entered ENS at 17, by derogation (1892). Agrégé at 20. The Baire space is the set of all infinite sequences of natural integers, endowed with the Tychonoff topology. It's homeomorphic to the subspace of the interval [0,1] consisting of irrational numbers (cf. continued fractions). Building on the work of Jordan and Borel (his advisor) he laid the goundwork of measure theory in 1901 and went on to revolutionize the notion of definite integration in his doctoral dissertation (1902). Lebesgue was elected to the Académie des Sciences on 29 May 1922. Known only by his initials G.H. (for Godfrey Harold) Hardy was asexual, entirely devoted to mathematics and cricket (a nonpractising homosexual, said Littlewood). His collaboration with Littlewood is legendary. So is the way Hardy recognized and guided Ramanujan's raw genius. He graduated at 16 from the Lycée français de Berlin. In 1905, he married Marrianne Ehrlich, daughter of Paul Ehrlich (1854-1915; Nobel 1908). Eponym of: big O notation, Landau's function, Landau-Kolmogorov inequality, Landau-Ramanujan constant, Landau's constants (1929). A student of Ludwig Boltzmann, she became a collaborator of Otto Hahn who was awarded a Nobel prize (1944) for their joint work. With Otto Frisch (her nephew) Lise Meitner gave nuclear fission its name (Kernspaltung). She correctly explained the related mass defect (1938). In 1905, Einstein published on Brownian motion (existence of atoms) the photoelectric effect (discovery of the photon) and his own Special Theory of Relativity, which he unified with gravity in 1915 by formulating the General Theory of Relativity. In 1916, he discovered what led to lasers. Early in his career, Bertus Brouwer founded modern topology. He later championed the incompatible philosophy of intuitionism which considers only sets whose elements can be shown to belong in finitely many steps. As topology isn't intuitionistic, he wouldn't teach it at all! Born in Budapest. Visiting Paris in March 1908, he saw early aviation flights and decided he'd apply mathematics to aeronautics. He became director of the Aeronautical Institute at Aachen in 1912. He emmigrated to the US in 1930 and received the first National Medal of Science, in 1963. Sierpinski was the first person to lecture on set theory (1908). After WWI, he organized mathematics in Poland around set theory & logic, topology and real analysis. He wrote about 600 papers on those topics. Later in life, he produced about 100 more papers on number theory. Littlewood had 22 doctoral students but, like Hardy, never bothered to take a doctoral degree himself. In 1910 or 1911, he started a prolific collaboration with G.H. Hardy which spanned 35 years. He was so discreet that rumors once circulated that he was just a figment of Hardy's imagination. In 1913, Bohr started the quantum revolution with a model where the orbital angular momentum of an electron only has discrete values. He later spearheaded the Copenhagen interpretation (i.e., probabilistic measurements cause the collapse of otherwise linearly-evolving quantum states). 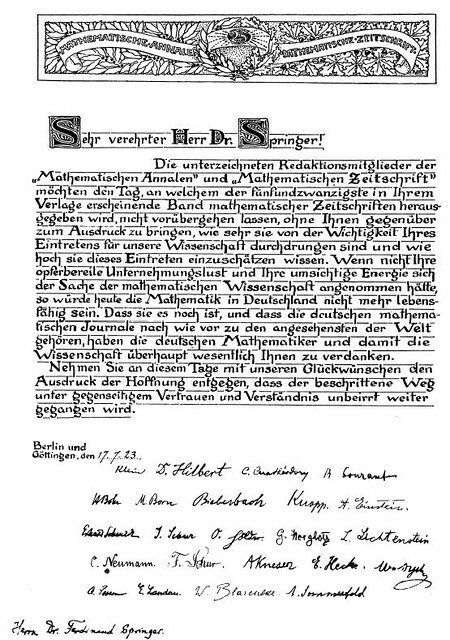 In 1908, Weyl obtained his doctorate from Göttingen under Hilbert. He was enthralled by symmetry in mathematical physics. In 1913, Weyl became a colleague of Einstein's at the ETH Zürich. He befriended Schrödinger in 1921. Weyl introduced compact groups (1923-1938). In 1926, Schrödinger matched observed quantum behavior with the properties of a continuous nonrelativistic wave obeying the Schrödinger Equation. In 1935, he challenged Bohr's Copenhagen Interpretation, with the famous tale of Schrödinger's cat. He lived in Dublin from 1939 to 1955. Ramanujan lacked a formal mathematical education but, in 1913, a few of his early results managed to startle G.H. Hardy (1877-1947) and J.E. Littlewood (1885-1977) who invited him to Cambridge in 1914. 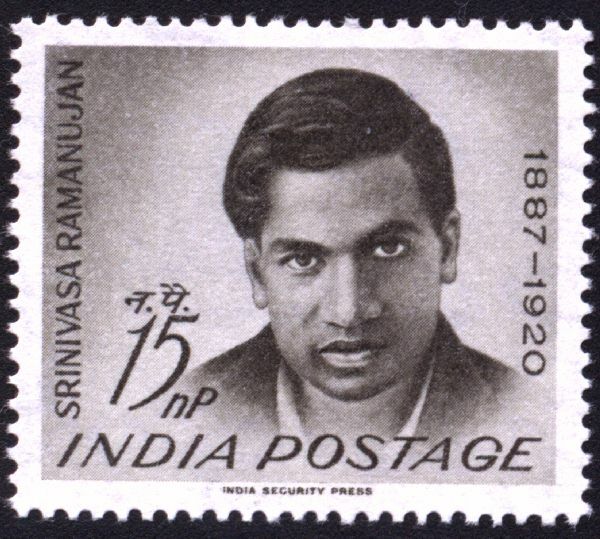 Ramanujan has left an unusual legacy of brilliant unconventional results. Born in Philadelphia to Lithuanian parents, he was inspired by second-hand textbooks and conceived the mad project of competing for a Cambridge scholarship. Against all odds, Mordell placed first (1906). His results would set the tone for modern views of number theory (cf. elliptic curves). In 1929, with sketchy observational data, he saw that galaxies recede at speeds proportional to their distances from us. The coefficient of proportionality Ho (Hubble's constant) varies inversely as the age of the Universe (thus proved to be expanding, by the cosmological principle). Pioneer of functional analysis (Théorie des opérations linéaires, 1932). His name was given to the main backdrop (Banach spaces) and the 3 fundamental theorems: Hahn-Banach (linear extension & separation), Banach-Steinhaus (uniform boundedness), Banach-Schauder (open map). In 1923, he proposed that any particle could behave like a wave of wavelength inversely proportional to its momentum (this helps justify Schrödinger's equation). He predicted interferences for an electron beam hitting a crystal. In 1978, Siegel became the first recipient (oldest to date) of the Wolf Prize for his work in celestial mechanics, complex variables and transcendental numbers : Siegel's lemma (1929). Siegel modular forms (1935). Mass formula (1935). Siegel-Weil formula (1951). Thue-Siegel-Roth. Born in Austria, he fled the Nazis in 1937. Artin is credited for modernizing Galois theory. He passed on his interest in subassociativity to his student Max Zorn (of lemma fame). Emil Artin was also the doctoral advisor of two Bourbakists: John Tate (Abel prize, 2010) and Serge Lang. The Hasse-Minkowski theorem (1921) transfers arithmetical questions to local fields. The Hasse invariant of a non-singular algebraic curve over a finite field is the rank of its Hasse-Witt matrix. In 1937, Hasse's application to the Nazi party was denied because he had a Jewish great-grandmother. In 1925, Wolfgang Pauli formulated the exclusion principle which explains the entire table of elements. His Godfather was Ernst Mach. Pauli's sharp tongue was legendary; he once said about a bad paper: "This isn't right; this isn't even wrong." In 1926, Fermi helped formulate the Fermi-Dirac statistics obeyed by what we now call fermions. He identified the neutrino in beta-decay. He discovered slow neutrons and the radioactivity they induce. On December 2, 1942, Fermi produced the first self-sustaining nuclear chain reaction. In 1925, Werner Heisenberg replaced Bohr's semi-classical orbits by a new quantum logic which became known as matrix mechanics (with the help of Born and Jordan). A consequence of the noncommutativity so entailed is Heisenberg's uncertainty principle. In 1924, he gave a nice definition of infinite sets. Also due to him are the Banach-Tarski Paradox and the Tarski-Grothendieck set theory. His axioms for elementary Euclidean geometry (1959) form a system (unlike anything covering arithmetic) where every true statement is provable. In 1925, Paul Dirac came up with the formalism on which quantum mechanics is now based. In 1928, he discovered a relativistic wave function for the electron, predicting the existence of antimatter (observed by Anderson in 1932). He coined the name for quantum electrodynamics (QED). He constructed functions whose Fourier series diverge almost everywhere (1922) or everywhere (1926). In 1933, he laid the foundations of axiomatic probability theory. Based on his 1954 work, the long-term stability of the solar system can almost be established (KAM theorem). He is credited with the stored program architecture (1946) whereby a computer uses its primary memory space to store both the data it operates on and the codes for the programs it executes. Von Neumann pioneered game theory, decision analysis, automata theory and fault-tolerant systems. Wartime head of the Los Alamos Laboratory which put together the first nuclear weapons (Manhattan project). From 1947 to 1966, Oppenheimer directed the IAS, where he recruited Freeman Dyson in 1947 and Frank Yang in 1949. He was investigated for alleged communist ties. Son of Elie Cartan, son-in-law of Pierre Weiss. Key founder, with Weil, of Bourbaki (1935) which consumed a large part of his research activities. Leading professor at ENS for several decades. Henri Cartan was instrumental in reconciling French and German mathematics after WWII. In 1944, Thomas Harold Flowers built the first large-scale electronic computer (Colossus) at Bletchley Park. As the accomplishment remained classified for decades, Flowers was deprived of the glory which went instead to Mauchly and Eckert for the ENIAC (Philadelphia, 1946). The completeness theorem in his dissertation (1929) states that a statement true in every model of an axiomatic system is provable in it. His more famous incompleteness theorem (1931) says that, in any model of a set of axioms covering arithmetic, some true statements are not provable. Brother of the philosopher Simone Weil (1909-1943) but unrelated to the politician Simone Veil (1927-2017). He was the leading founder of Bourbaki. Weil established the field of algebraic geometry and, arguably, charted the course of much abstract mathematics in the twentieth century. He fled Germany in 1933, after losing his post at Tübingen because of his Jewish ancestry. In 1935, he got a position at Cornell, which he never left except for wartime work at MIT and Los Alamos (as head of the theoretical division). Nobel prize for his work on nuclear fusion in stars of all sizes. Arguably the most brilliant of a dozen Via Panisperna boys selected by Fermi (including the likes of Wick and Segrè). Majorana published only 9 scientific papers but left a huge 10,000-page legacy of notebooks written between 1927 and 1932. He organized his own disappearance in March 1938. Harold Scott MacDonald Coxeter was a British-born Canadian mathematician teaching at Toronto. He put forth reflection groups. He wrote Introduction to Geometry (1961) and Regular Polytopes (1963). A correspondant of Martin Gardner, he inspired Bucky Fuller and M.C. Escher. Lev Landau produced the "Course of Theoretical Physics" (10 volumes) with Evgeny Lifshitz (1915-1985). After his work on second-order phase transitions, he put forth the Landau-Ginzburg model of superconductivity. Superfluid Helium II. Landau quantization. Density matrix (1927). John Bardeen shared the 1956 Nobel Prize with William Shockley (1910-1989) and Walter Brattain (1902-1987) for the invention of the transistor (1947). In 1972, Bardeen got the Prize again with Leon Cooper (1930-) and J. Robert Schrieffer (1931-) for their BCS theory of superconductivity. Claude Chevalley was born in Johannesburg, where his father was serving as French Consul. His parents were the authors of the Oxford Concise French Dictionary. He entered ENS at the early age of 17. He was the youngest founding Bourbakist (1935). He revived Clifford algebras. Astrophysicist. Chandra was the nephew of Raman (1888-1970; Nobel 1930). On Chandra's 107th birthday, Google's home page in 28 countries featured an animation illustrating the Chandrasekhar limit (1.44 solar masses) beyond which a star's death can only yield a neutron star or a black hole. Top code-breaker of Bletchley Park (WWII). A Turing Machine is a finite automaton endowed with an infinite read/write tape on which it can move back and forth, one step at a time. Turing showed that such a machine is capable of computing anything that any other machine could. Paul Erdös wrote over 1500 papers with 511 collaborators. He contributed many conjectures and proved some great ones. Faced with antisemitism, he left Hungary in 1934 and spent the rest of his frugal life on the road, touring mathematical centers. Son-in-law of Paul Lévy. "One night in 1944", he figured out that the distributions used in physics (including Dirac's delta) were continuous linear forms over a restricted set of smooth test functions. He found the Fourier transform to be a linear automorphism among tempered distributions. Known as the father of information theory. A Mathematical Theory of Communication (1948). Norwegian-born. He furthered the sieve methods of his countryman Viggo Brun (1885-1978) and proved major results on the Riemann zeta function. With Erdös, Selberg gave an elementary proof of the prime number theorem and generalized it to primes in arithmetic progression. During WW2, William T. Tutte (pronounced Tut) broke the Lorenz cipher. His algorithms motivated Flowers' Colossus. He developed Whitney's (1935) matroids. The Tutte graph (1946) disproved Tait's conjecture (1884). In 1948, Coxeter invited him to Canada, where he remained. In 1949, he introduced Feynman diagrams to describe the relativistic quantum theory of electromagnetic interactions known as Quantum electrodynamics (QED) using perturbation theory. This has helped visualize all other types of fundamental interactions ever since. Robinson's non-standard analysis (1961) gave a rigorous footing to the infinitesimals introduced by Leibniz (1675) thus providing an alternative basis for analysis (competing with the approach made standard by Cauchy in 1821). This was an early application of Model theory. With Robert Mills (1927-1999) in 1954, Frank Yang generalized the gauge theories of Weyl (1919). Yang-Mills theory, is now the paradigm for the modern description of all interactions. With T.D. Lee and Chien-Shiung Wu (1912-1997) Yang found beta-decay to violate parity (1956). Born in England, Dyson went to Cornell as a student (1947) and went on to replace Feynman there, without ever getting a doctorate. In 1949, he showed Feynman's QED diagrams to be equivalent, to the methods of Schwinger or Tomonaga. Dyson joined the IAS in Princeton in 1953 and never left. Nephew of the founding Bourbakist Szolem Mandelbrojt (1899-1983). His family emigrated from Poland to France in 1936 and he was educated at Polytechnique. He founded fractal geometry and discovered the Mandelbrot set. A Bourbakist noted for broad contributions in fields like topology, group theory and number theory (particularly Galois representations and modular forms). 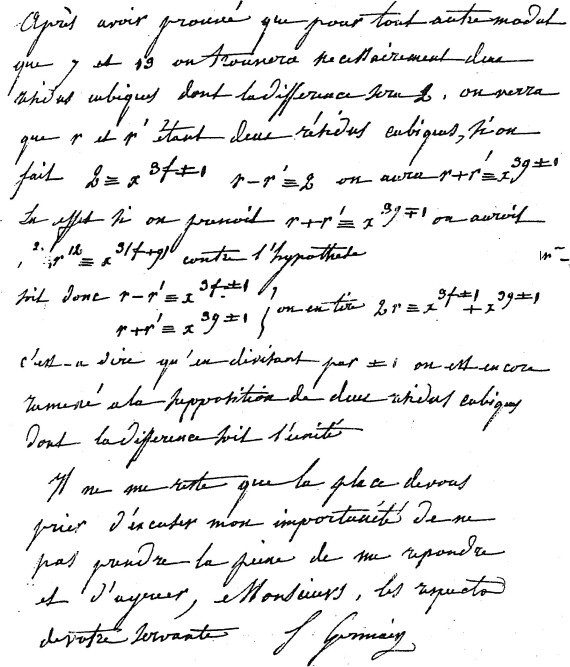 First prize for mathematics in Concours Général (1944). Youngest Fields medalist (in 1954) and first Abel prize recipient (2003). Joe Kruskal obtained his Ph.D. from Princeton in 1954, under Lyndon and Erdös. He was the younger brother of the statistician William H. Kruskal (1919-2005) and the physicist Martin D. Kruskal (1925-2006) who is known for the Kruskal principle, used in magic. Visionary mathematician, student of Schwartz, advisor of Deligne. Championing categories, he put forth schemes, motives and topoi. He gave up research in 1972 and retired in 1988. From 1991 to his death, he lived as a recluse in the village of Lasserre. He died in the hospital of Saint-Girons. In his 1950 thesis about non-cooperative games) The notion of a Nash equilibrium makes game theory relevant to many real-life situations. Nash battled schizophrenia for decades, but willed it off before receiving the Nobel prize in economics, at 66, and the Abel prize, at 86 (2015). John Stewart Bell earned his PhD in nuclear physics at Birmingham in 1956. In 1960, he and his wife (Mary Ross) gave up tenured positions to work at CERN for the rest of their careers. After a year-long sabbatical from CERN, John published his masterpiece: "On the EPR paradox" (1964). In algebraic geometry, the index theorem (1963) equates the topological index of an elliptic differential operator, on a compact manifold, to its algebraic index (pertaining to the dimension of the space of solutions). This very general theorem has many specializations and applications. An early proponent of the chirality of weak interactions (1958) he dubbed strangeness one flavor they don't conserve. Gell-Mann gave "quarks" their name and called color what they trade. The same scheme was independently proposed by George Zweig (1937-) using the word aces. His father, Lionel, was a geneticist. His mother, Margaret, was a physician. His older brother, Oliver, became a professor of mathematics. His younger brother, Jonathan, was 10 times British Chess Champion, perhaps the most talented ever. Roger penrose put forth twistors in 1967. After a stay at the IAS (1956-1959) he was on the Princeton faculty until he retired (2013). Nelson gave a controversial Newtonian derivation of Schrödinger's equation in 1966. Working on the foundations of mathematics. he briefly believed in the inconsistency of Peano's axioms (2011). In 1970, Conway found the simple rules of a cellular automaton (the Game of Life) capable of self-replication and universal computation. 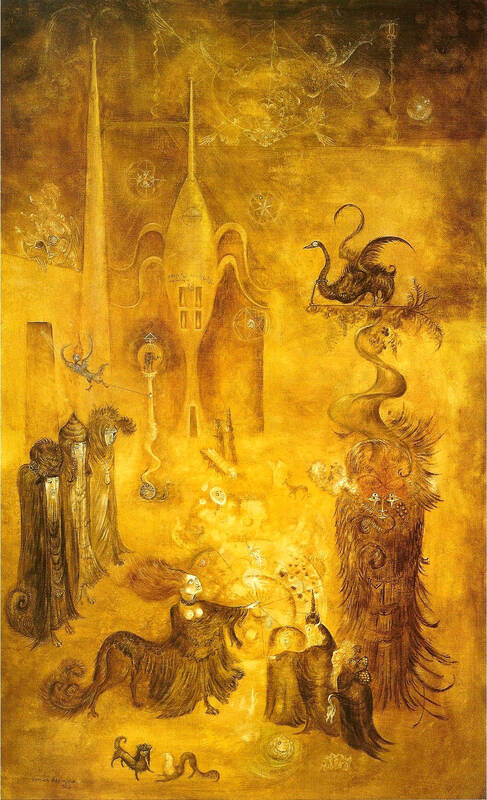 His many other original contributions include the ultimate extension of the ordered number line: surreal numbers (1973). Donald Ervin Knuth made the rigorous analysis of algorithms a key aspect of computer science. Complexity theory studies the best possible asymptotic performance of all procedures that can solve a given problem (running time and/or memory-space used, as functions of input data size). Diagnosed with ALS at age 21, he wasn't expected to reach his 25th birthday, but went on to establish the pointlike nature of the Universe's origin. Communicating only via one cheek muscle, he achieved a legendary status in the public eye. Hawking's fame in physics is second only to Einstein's. Dame Jocelyn Bell Burnell discovered the first pulsar (neutron star) in July 1967 and the next three shortly thereafter. She was then a Ph.D. student supervised by Antony Hewish (who would be awarded a Nobel prize in physics, in 1974, for their subsequent joint work). With Veltman, he devised dimensional regularization and proved Yang-Mills theories to be renormalizable (1972). He anticipated asymptotic freedom in QCD and paved the way for the description of strong interactions by Gross, Wilczek and Politzer. He originated the holographic principle. His Geometrization conjecture (1982) was famously proved, in 2002, by Grigori Perelman (1966-). It implies Thurston's own Elliptization conjecture and Poincaré's conjecture (1904). Thurston's thorough investigation of foliations nearly killed the subject. Fields medallist (1982). Alan Guth (MIT) came up with the idea of cosmic inflation in 1979 to explain the extremely even distribution of the contents of the Universe at the beginning of the Big Bang. For this, he shared the 2002 ICTP Dirac Medal with Andrei Linde (Stanford) and Paul Steinhardt (Princeton). He was awarded a Fields Medal (1990) for his mathematical contributions to a physical theory (String Theory) which captured the hearts of generations of physicists without any empirical support. In 1995, Witten unified the 5 or 6 flavors of that theory under a single umbrella he called M-Theory. He worked secretly on a proof of Fermat's last theorem for seven years before offering it for publication in 1993. A flaw discovered by Nick Katz required new insights and the collaboration of Richard Taylor. By resolving the issue on 1994-09-19, Andrew Wiles achieved worldwide fame! Grigori Yakovlevich Perelman turned down the Fields Medal (2006) and a million-dollar Clay prize (2010) for his 2002 proof of Thurston's geometrization conjecture, implying the legendary Poincaré conjecture (1904). Since 2005, Perelman has been living as a recluse in Saint-Petersburg.